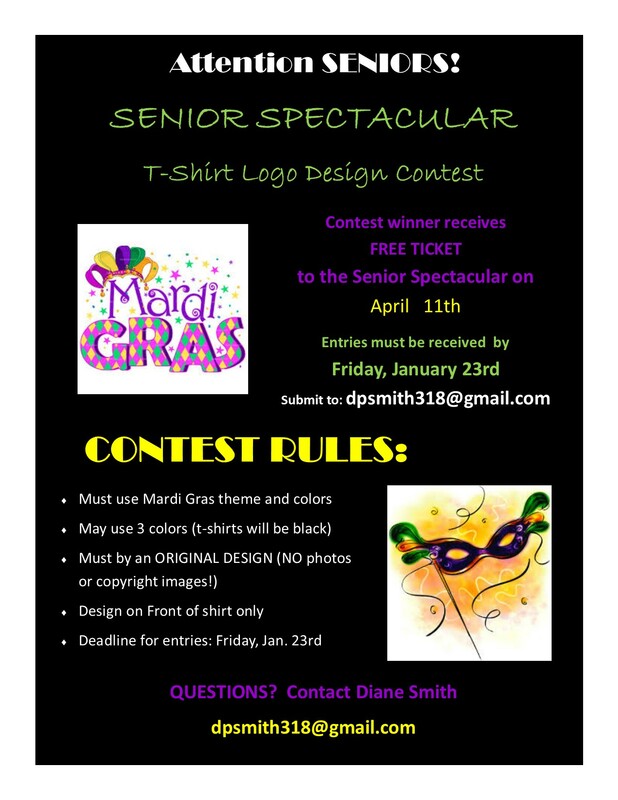 The Senior Spectacular Committee is again sponsoring a T-Shirt Log Design Contest. The winning submission will be featured on the Senior Spectacular T-Shirt this year. The Contest winner also receives a free ticket to the Senior Spectacular on April 11th. Entries must be received by Friday, January 23rd.